Last Saturday’s poor turnout at the Anti-Kleptocracy/Save Malaysia event organised by Pakatan Harapan is proof that the masses are already jaded with the style of politics that the Pakatan has to offer. 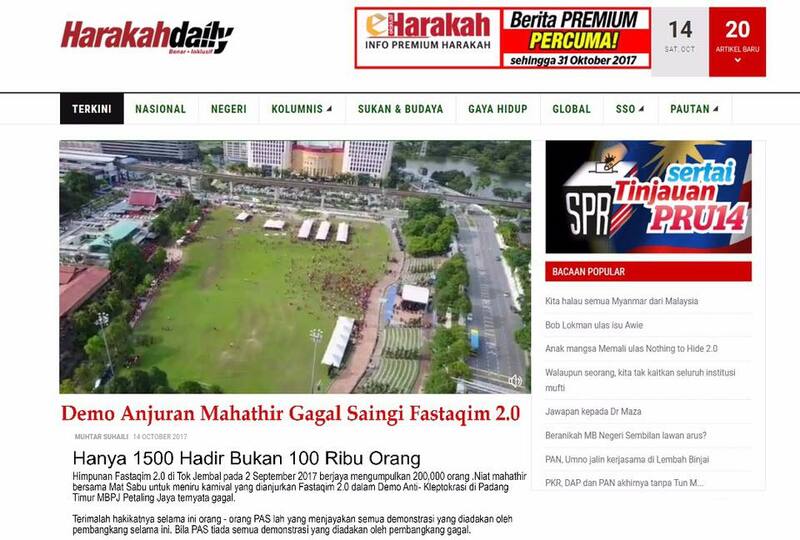 Despite lining up old dinosaurs like Emperor Lim Kit Siang and U-Turn Mahathir, Pakatan only got 8,000 attendees at the peak of the event according to a post by Malaysiakini made just after the event ended at 11pm that night. That makes the attendance at 8 percent of the intended target, and 0.027 percent of the total population – and yet they claim that they represent the rakyat. Even former partner PAS took a swipe at the event noting just 1,500 attended. This underscores the dwindling support as presented by me in my previous post NO HARAPAN. Pakatan’s spin machinery, this time led by former PAS member Salahuddin Ayub, claims that the school holidays and Deepavali break had contributed to the extremely poor turnout at the event. “The rally did not achieve the goal of gathering 100,000 people. Perhaps (this could be due to) the rally happening during the school holiday and Deepavali season. So many people would be on holiday,” he said. This is despite having the champions of rallies, Ambiga and Maria “Isteri Nabi” Chin sitting on the stage alongside the Pakatan giants. Back in those days not so long ago, Pakatan’s NGO BERSIH was able to muster 80,000 demonstrators for the BERSIH 3.0 rally which was held on 28 April 2017, a Saturday, and many even took the Monday off because Tuesday was Labour Day holiday – a definite long weekend for many. BERSIH 4.0 which was held on the 29 and 30 August 2015, another long weekend Hari Kebangsaan holiday, saw 100,000 demonstrators attending. 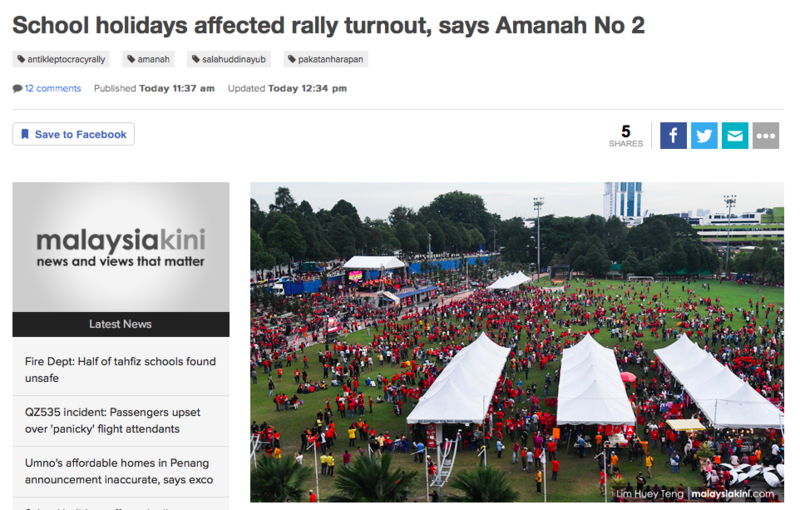 That number dropped to 40,000 during BERSIH 5.0. However, there were three real winners during last Saturday’s event. The first winner being the LRT. Majority of the attendees arrived there by LRT, a small number were ferried into Petaling Jaya from other states by Pakatan in buses paid by them. The second winners were the two A&W outlets there, one is the old Drive-In outlet, while the other is a smaller one located at Shah Motel or whatever that it is being called now. The third winners are the kleptocrats themselves, led by KleptoKutty himself. 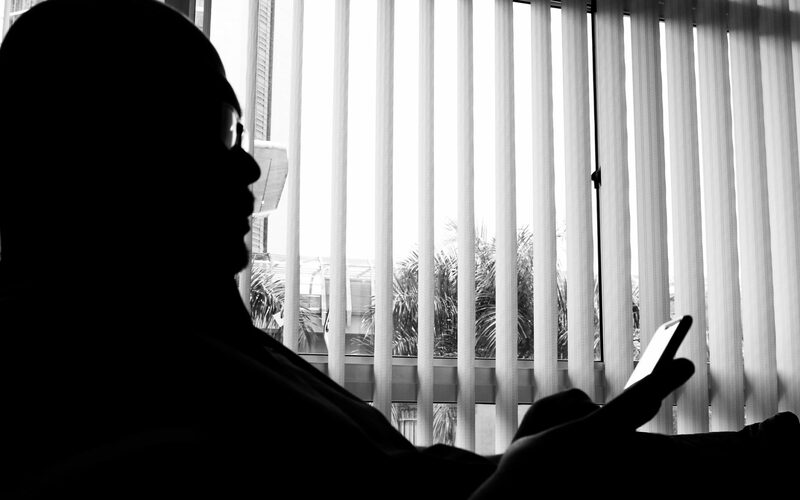 While talking about the BN stealing money from the rakyat, the seasoned kleptocrats managed to con the rakyat by stealing a total of RM68,329 to finance their pockets. Well done, kleptocrats! At least you can con people off their money without even getting into Putrajaya. God knows what you would do if you ever get there. But, we haven’t forgotten what KleptoKutty did when he was there for 22 years.